Easy to use 8 oz. machine with auto shut off to prevent overheating. Includes pre-measured servings for 50 people. Must be on dedicated 15 amp circuit. No mess clean up. 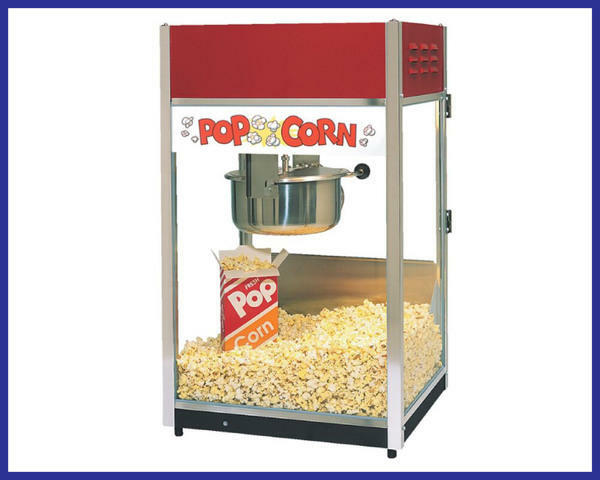 When done simply remove the excess popcorn kernels and our staff will do the rest.